Amazing and unique property that features 1.48 acres in town and offers unlimited possibilities to transform this private setting into your personal retreat. Home is located in the desirable Uplands neighborhood near Gilbert Park, and is ideal for a large or extended family with 5793 square feet, 5 bedrooms and 4 bathrooms. Kitchen has been updated with granite counters, new cabinetry and custom tile work. Main level features formal living and dining rooms, plus a spacious family room with sliders to an outdoor patio and entertaining space. Guest room with private bath on the main level. Four additional bedrooms including the master suite are upstairs.Circular drive leads to a three-car garage, plus additional space for RV parking. Spacious backyard features oversize patio with dining area and plenty of room to play. New roof and new siding within the past 5 years. 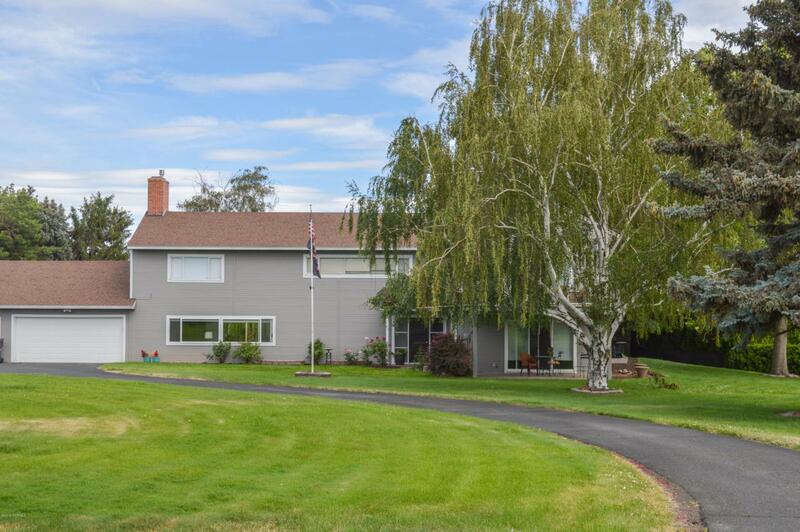 Listing provided courtesy of Mel Moore of Berkshire Hathaway Homeservices Central Washington Real Estate.